260 Deer Crossing Road, Ellicottville, NY.| MLS# B1117411 | Chautauqua Lake Real Estate Services. Informed, Professional Real Estate Information Serving Buyers and Sellers Interested in Lake Chautauqua Real Estate and Chautauqua County NY Real Estate. Rick and Julia McMahon Real Estate Advantage Since 1992. 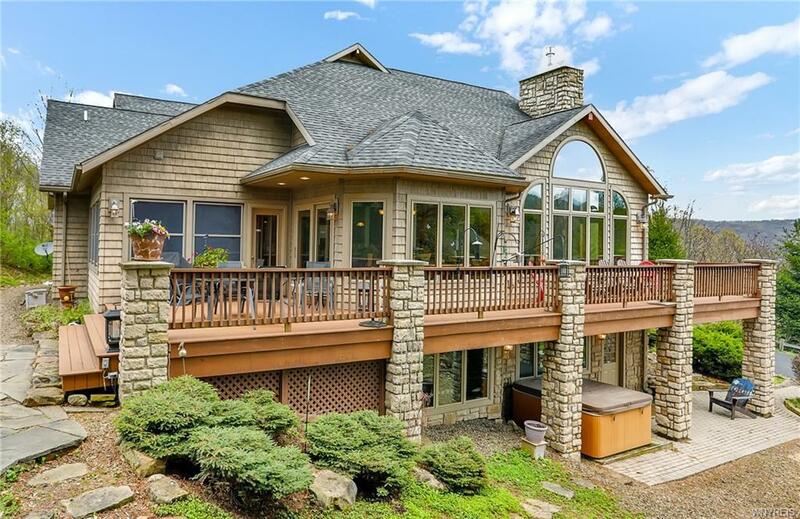 The ideal property to enjoy 4 seasons of the "Ellicottville Lifestyle". Extraordinary design & floor plan offering space, privacy & areas for family gathering after a day on the slopes, hiking or golfing. Gourmet kitchen opens to the great room & dining room making entertaining a joy for both you the & your guests. 1st floor master suite w/ fireplace & its own enclosed reading porch. Cozy TV "room" off the living room area, has wet bar & wine fridge. Massive stone fireplace & walls of glass to bring in the outdoor light & views of the ski slopes/golf course. Lower level family room w/ fireplace, wet bar, walk in/out ski room area, hot tub & basement/storage area. Your own office 2nd level, more room to expand if needed, this chalet has all the amenities for resort living. A must see!